Beginning her studies at Berkeley, University of California, Dr. Erkmen finished the University of California School of Medicine in 1998. Her residency and fellowship were both completed at the Brigham & Women’s Hospital. Currently a cardiothoracic surgeon at the Norris Cotton Cancer Center, Dr. Cherie Erkmen has a keen interest with cancers that affect the chest area, specifically mesothelioma. 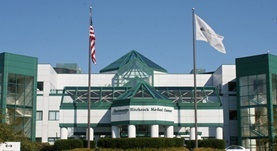 Dr. Erkmen is also associated with the Dartmouth-Hitchcock Medical Center for the last few years, which is a well known treatment center for mesothelioma patients. Dr. Cherie P. Erkmen has contributed to 4 publications. Warming barium sulfate improves esophageal leak detection in pig model. Raman V1, MacGlaflin CE2, Moodie KL3, Kaiser LR4, Erkmen CP5. Comparing histone deacetylase inhibitor responses in genetically engineered mouse lung cancer models and a window of opportunity trial in patients with lung cancer. Ma T1, Galimberti F, Erkmen CP, Memoli V, Chinyengetere F, Sempere L, Beumer JH, Anyang BN, Nugent W, Johnstone D, Tsongalis GJ, Kurie JM, Li H, Direnzo J, Guo Y, Freemantle SJ, Dragnev KH, Dmitrovsky E.
Bexarotene Plus Erlotinib Suppress Lung Carcinogenesis Independent of KRAS Mutations in Two Clinical Trials and Transgenic Models. Dragnev KH1, Ma T, Cyrus J, Galimberti F, Memoli V, Busch AM, Tsongalis GJ, Seltzer M, Johnstone D, Erkmen CP, Nugent W, Rigas JR, Liu X, Freemantle SJ, Kurie JM, Waxman S, Dmitrovsky E.
Thymoma-associated paraneoplastic encephalitis (TAPE): diagnosis and treatment of a potentially fatal condition. Erkmen CP1, Fadul CE, Dalmau J, Erkmen K.